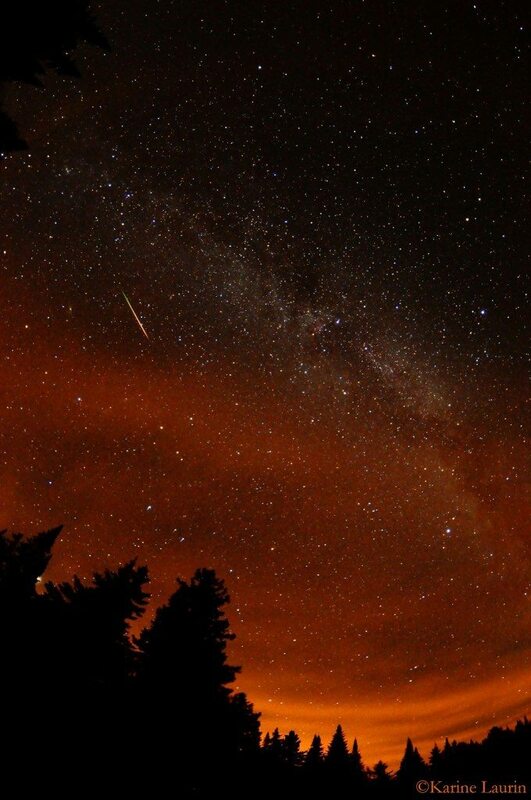 I hope the clouds clear up tonight so that I can watch Perseid Meteor Shower Peaks August 12-13th, 2010. The Perseids is one of the best meteor showers to observe, producing up to 60 meteors per hour at their peak. 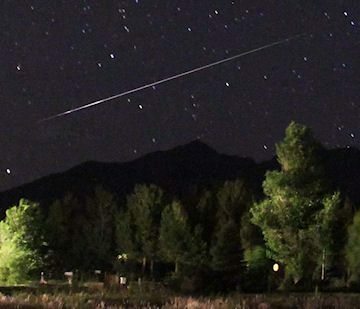 This year’s shower should peak on the night of August 12 and the morning of the 13th, but you may be able to see some meteors any time from July 23 – August 22. The radiant point for this shower will be in the constellation Perseus. The thin, crescent moon will be out of the way early, setting the stage for a potentially spectacular show. For best viewing, look to the northeast after midnight. Every year in early August, we can observe the Perseid meteor shower (“the Perseids”), and it’s a fascinating sky event. 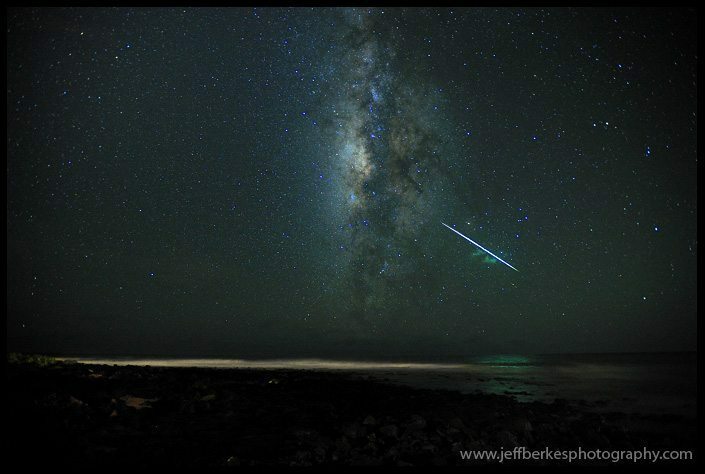 This year 2010, the Perseid peak activity is expected over the night of Thursday 12th to Friday 13th 2010. And with no moonlight to speak of (the Moon is new on August 10th), conditions should be very favorable, weather permitting. Karine Laurin, Lac Herman in the Parc du Mont-Tremblant, QC, Canada "We headed up north to Parc du Mont-Tremblant to go camping like we do every summer during the Perseid meteor shower. Although the show was not as impressive as last year's, I luckily caught a few meteors in my shots. Nikon D90, 10.5mm focal length, ISO 3200, 48s exposure, F2.8. "